In 1926, Leal Raymond Avery and his brother, Harland Wesley “Bake” Avery, were given approximately $5,000 from their mother, Harriet “Hattie,” to help start Avery $ Drycleaners in Williamsport, PA. The main plant (present day Bull and the Barrel Tavern on High Street) was built in winter of 1926 and operations began on Feb. 8, 1927. Within a short time, the Avery brothers owned and operated 12 different stores throughout the area. The executive office was attached to original plant and is around the corner on (705) Wildwood Blvd. Avery $ Cleaners was very successful for the next 30 years. In its heyday, the cleaners did tremendous business and, according to a newspaper article from 1948, the 336 W. Fourth St. store saw 1,100 customers in one day. The business was passed on to Leal’s son, my grandfather, Roland “Doug” Avery, in 1942 and he operated until 1958. He sold the business and moved to San Diego that year. In 1942, Leal retired to Florida with his second wife, Marcella Ann Schwartz (they divorced in 1958). By 1961, Leal had gone blind and was being cared for by his then-divorced wife, Sophia (Sophie). He passed away in March 1963. Harland and his family moved to Los Angeles in the 1950s. He passed away in 1970. Roland “Doug” Avery and his wife, Betty MacMichael Avery, lived in San Diego until her death in April 1985. Doug then moved to Central America for a while before returning to San Diego in 1995. He returned to Williamsport in 2000 and lived here for three years before passing away in September 2003. Avery $ Cleaners was opened in 1926 by brothers Leal Raymond Avery and Harland Wesley “Bake” Avery. Clockwise from top left are: Avery $ Cleaners in 1943; an advertisement for the business; Mark Avery and his father, Gary Avery; Mark Avery, his father, Gary Avery, and grandfather, Roland Doug Avery; and Leal Avery and his son, Roland Doug Avery. Leal R. Avery, who is identified with the Avery Dollar Dry Cleaners, is well known among the energetic young business men of Williamsport. He was born at Long Eddy, N.Y., Aug. 27, 1891, the son of John W. and Harriet L. (Armstrong) Avery. Leal obtained his education in the public schools of Long Eddy, from which he was graduated in 1906. The following year he went to Binghamton, N.Y., where he spent several years in the employ of the Arlington Hotel as clerk and cashier. While thus employed he met such well known men as Thomas A. Edison, William Jennings Bryan, Charles E. Hughes and Lewis Dockstader. In 1912, Mr. Avery went to Rochester, N.Y., and later to Chicago, where he spent two years as clerk at Hotel Plymouth. Here again he met such men as Charlie Chaplin and Frances X. Bushman. He later returned to Rochester as cost accountant for the Rochester Railway & Light Company. Two years later he formed a partnership with his brother, Harland W. Avery, and they conducted a dry cleaning establishment for a short time. 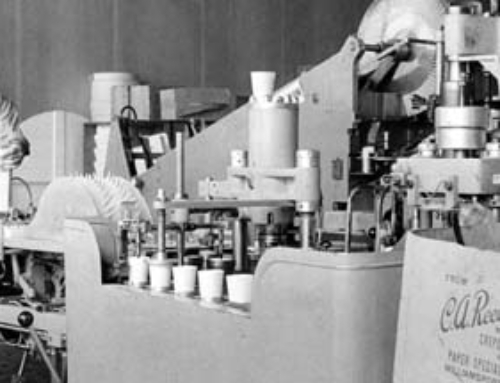 He was then connected with the Morgan Machine Company as cost accountant, later being identified with the Movette Machine Company, Inc., manufacturers of motion picture cameras. 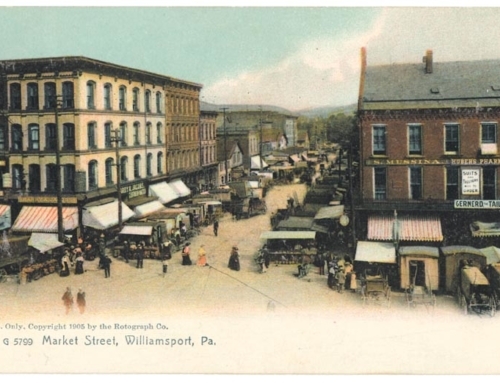 He was treasurer of this company for four years and in 1926 came to Williamsport, where he organized the Avery Dollar Dry Cleaners, in partnership with his brother. The plant is located on Wildwood Boulevard with offices at 336 West Fourth Street, Williamsport. The original plant at Kenmar was condemned by the State Department. The company renders high grade service, making a special offer of cleaning any suit or garment for one dollar. Branch offices are also maintained at Jersey Shore, Sunbury, and Shamokin. Five delivery trucks are used by the company. On June 19, 1916, Mr. Avery married Miss Sophia L. Albrecht, of Rochester, N.Y., the daughter of Charles (Carl) and Johanna (Vragel) Albrecht. Mr. and Mrs. Albrecht, natives of Germany, live at Hilton, N.Y. Mr. and Mrs. Avery have a son, Roland Douglas, born March 24, 1918. Mr. Avery is a Republican and a member of St. Paul’s Lutheran Church. His recreation consists of hunting and fishing.